These Picture Frames Have A Beautiful Satin Silver Finish! 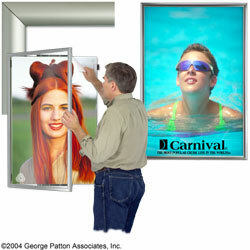 These Picture Frames Display 24" x 36" Graphics! 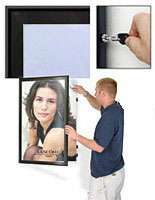 The backing board is permanently affixed to the inside of this picture frame and holds posters up to 1/16" thick. The total size of this picture frame is 25 1/2"w x 37 5/8"h x 1 1/4"d. The rounded aluminum outer frame is approximately 1" wide on each side. 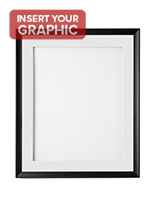 This picture frame comes fully assembled and ready to mount on your walls. This product is engineered for interior use only. 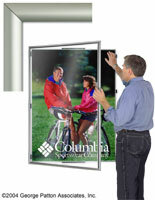 Our high quality poster display permits you to easily exchange your 24" x 36" posters. The satin silver aluminum frame gives your posters an extremely professional appearance and will focus the awareness of clients and workers to your media content. A durable and lightweight acrylic cover protects your poster. 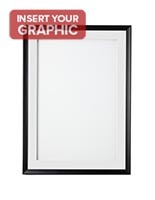 Each frame comes with reusable adhesive tape for holding your posters to the backing board. 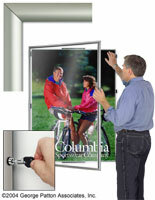 When the wide face door closes onto your poster, it will overlap your poster by 1/4" on each edge.